Royal College of Art: Fashion Design Graduate Show 2011 review. Menswear. Brilliant RCA menswear design from the likes of Aleksandra Domanevskaya, Sol Ahn, Calum Harvey, Bennet Loveday, Emily-Jane Murray, Stefan Orschel-Read and Fah Chakshuvej. Loved Agata Wojtkiewicz's A/W 2011 collection for Designers' Avenue at Expo on Saturday 7th May. Particulary the lovely coppery pleats. 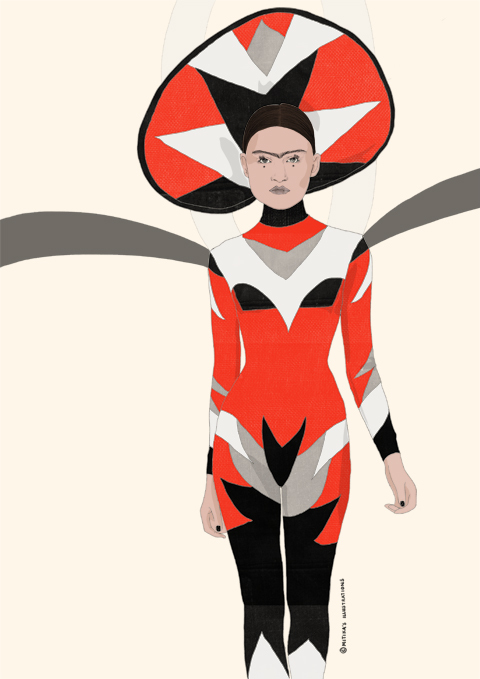 Reviews of three catwalk shows on Saturday 20th February, with illustrations by Etiene Del Monte, Rachel De Ste. Croix and Kelly Smith. And featuring the first sighting of BABY LEG girl.